The best quality at the best prices. Entirely manufactured in Australia to premium standards using traditional skills, the fireplaces are individually designed and built as a unique creation that display colour and character. You can choose from an extensive range of designs that can be individualised to suit your requirements. Restoration work and reproductions made-to-measure are also offered, so drop in and talk to K and K Marble about your special design concepts. There is no better way to warm up your house during Melbourne winters than lighting up your very own fireplace! 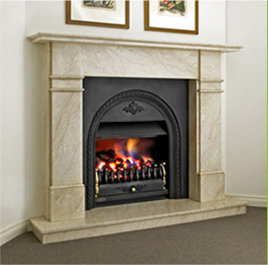 Make your evenings warm and glowing with an elegant and safe to use marble fireplace built by K&K Marble!